We have made many vehicle purchases throughout the years but NONE like our recent one! Gino and Eren are absolutely the best!!! 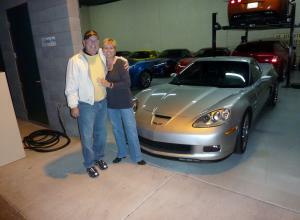 We had been wanting a vette for several years but just never really looked into it. However, knowing we would be in the Phoenix area over the weekend we decided to search online and we came across several that caught our eye. We emailed several dealerships late Friday night. Saturday morning as we were on the road the responses started coming in. Gino called me and followed up with a couple pictures. We got his address and made it our first stop! We were speechless as we went through the front door, their selection is unbelievable and the knowledge he has of each and every one will leave you with your mouth wide open! No pressure at all, he shows you around while listening to what you are looking for and thanks you on your way out. We called him on Monday afternoon with our decision and Erin called us on Tuesday asking when we would be available to sign and pick it up! They even opened on 4th of July in order to make it happen! We will definitely be back and recommend them to everyone wanting a great experience!!! I was looking around for my first Corvette purchase and came across Vette Culture online. 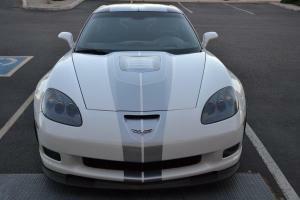 While looking through the many Corvettes available for sale, I immediately fell in love with this car. So I called down to Vette Culture and set up an appointment. When I walked into the indoor showroom I felt like I was in heaven, immediately spotting the Corvette I wanted. Gino & Eren were amazing to work with and extremely knowledgeable. It was the best and most pleasant car buying experience I have ever had. I will definitely be back to Vette Culture to purchase my next Corvette, hands down! I would highly recommend to anyone who is interested in purchasing a Corvette to make Vette Culture their first & only stop. Top quality with unbeatable customer service!! Thank you again Gino and Eren! 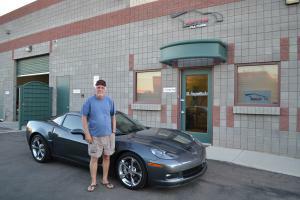 As Vette owners and enthusiasts from Alaska and after shipping our 2007 Callaway to Arizona, we knew we wouldn’t take our Vette to just any mechanic. We had heard of the Vette Culture’s reputation and paid them a visit. 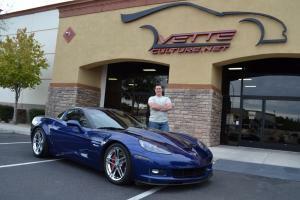 Vette Culture took care of our Callaway and made us feel confident with their knowledge and love for high performance vehicles. Gino and his staff are friendly, very helpful and genuinely interested in their customers...they earned our trust! We had been considering a newer model Vette and consideration was made easy by adding together quality vehicles, Vette Culture know-how, and experienced mechanics. 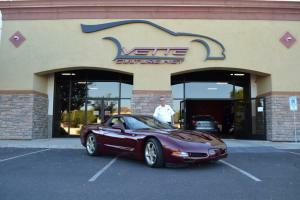 Gino introduced us to one of the Vettes in the well organized showroom. So needless to say, we are now the proud owners of a 2017 Corvette Stingray Z51 Coupe W/3LT. 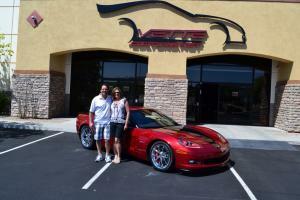 We recommend Vette Culture to anyone interested in beautiful, high performance vehicle sales and service. Thanks, Gino, Eren and the Vette Culture gang! 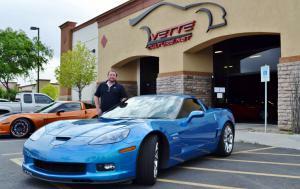 Our 2015 Laguna Blue Z06 is the second Corvette that we have purchased from Vette Culture. 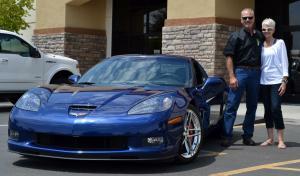 We previously purchased a 2009 Jetstream Blue Z06 from Vette Culture. 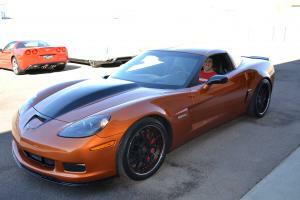 It is an amazing car but I could not resist the new C7 Z06, plus 650HP always trumps 505HP!! Thanks Gino and Eren for again making our buying experience so easy. We apologize for wasting most of your day off on Sunday but sure glad that you did. 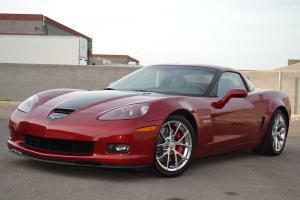 Who knows,,,,when the new ZR1's are out for awhile we might be buying another Vette from Vette Culture. I have to say that was a great experience! 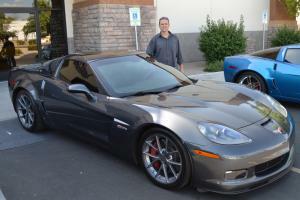 I had a Corvette to sell and did not want to deal with the hassle of selling it. Gino was very fair on the offer and super easy to deal with. This is how business should be done! 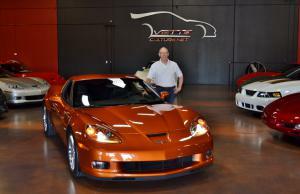 In doing some research in preparation for buying my "bucket list" car, an '03 50th Anniversary Vette, I made an appointment with Vette Culture. There I met Gino for the first time. I told him that I was about to make that purchase, even though it was NOT from him. It became easily evident from the onset that Gino was a man who was more interested in my knowledge, satisfaction and joy in my purchase than he was in selling me one of the beautiful cars in his showroom. He respected my choice. There was no pressure to "switch" me to another Vette. There was no pressure at all. It was like two friends talking about a mutual interest. He spent a lot of unhurried time with me, courteously giving me insights and what he and his shop could offer me in support. Again, all this time and attention, from a man who knew I was not going to buy a Vette from him! I left there knowing I had found a home for my Vette. I had previously asked if I could call him from California while making my purchase? He said I could, and I did. Again, he was just as helpful and courteous as I could ever want. He has definitely earned my trust. 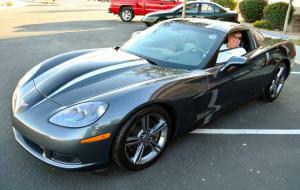 A few weeks after I purchased the Vette, I brought it in because of a very stiff, uncomfortable ride. This is when I met Mason and Juan, two of the most competent Vette maintenance specialists one would ever want to meet. Just by his listening to me describe the problem, Mason suggested that, instead of changing out the shocks, as I previously wanted, he look at the suspension because sometimes, Vette's in transit are shipped with plastic spacers in the springs. So, instead of installing four costly shocks that would not have fixed the problem, Mason's experience proved correct. All it needed was to have the plastic spacers removed. How many people would've known that? Mason did! So, I just know that Vette Culture is not like any other dealership I've ever been too. Customer satisfaction means everything to the whole crew who work there. At my age, I believe when a man looks you in the eye, says something and shakes your hand, that you can count on him. Gino and the crew believe in that too. It's called trust. If that's what you believe, and want, you need look no further than Vette Culture. When I first walked into Vette Culture I immediately knew it was going to be a difficult decision selecting the first Corvette I would own in 40 years. It was like I just walked into Corvette Heaven. But with Gino's knowledge and patience I was able to select the perfect car for me. I couldn't be happier. I'll be back. If I ever have another Corvette to sell, I will not hesitate to bring it to Vette Culture. My experience was 100% satisfactory, and I think I got as good a price as I would have gotten if I tried to sell it myself, but without all the hassle! I found Vette Culture while in search of my dream car, an 02-04 z06. Not only did I find said dream car, I found a great business run by great people. Buying at Vette Culture was an awesome experience. I came in with high expectations and was not disappointed. Gino and Eren are great, and they really provide a much needed service. An honest, fair, high quality place to buy a car. Not just any car, the Corvette. Gino is very knowledgeable about the Corvette and spent a lot of time with me, just talking about the specific model I was interested in and about the Corvette in general. The quality of their inventory could rival new car dealerships. But their prices beat the new car dealers by far. Low mileage, well kept cars are Vette Cultures specialty. I'll be keeping in touch with them for special service and modifications for sure. Yes, they're a full service and mod center too! I highly recommend Vette Culture if you're in the market for a Corvette. Check them out! Thanks to Gino and Eren, you helped me fulfill a dream! 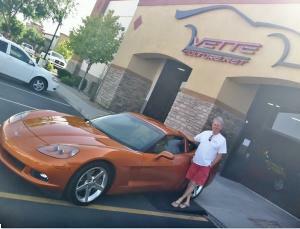 Vette Culture has many satisfied buyer testimonials, but they are also very fair and easy to work with on the buy side too. I brought Gino (the owner of Vette Culture) my low mileage C5 Z06, and he made me a fair offer, saving me weeks of dealing with Craigslist scammers and unqualified buyers. It was the fastest, most stress free car sale I have ever made. 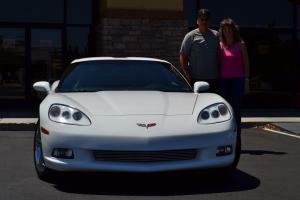 The experience was so pleasant that I also referred my father to Gino, and he sold his C5 to him too! 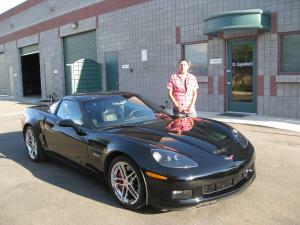 Gino is so knowledgeable about Corvettes and the market that he can make an informed offer quickly. 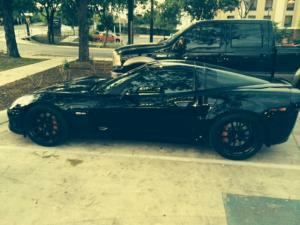 If you have a nice Corvette, don’t trade it. Take it to Vette Culture and either sell it or consign it. I am pleased with not only the car, but also with the incredible level of service and attention Gino and Eren at Vette Culture provided, both before and after the sale. I had never purchased a car from an out of town dealer before, but my experience with Vette Culture has changed my whole perception of how good a car-buying experience can be. The selection of vehicles was impressive. Vette Culture had exactly what I was looking for, fairly priced, and most importantly, accurately and completely represented. The entire transaction was carried out efficiently and with the highest level of honesty. I certainly will call on Gino and Vette Culture for my next Vette , and would be happy to recommend Vette Culture to friends or others who are looking for a dealer with an incredible selection and the integrity to match. Thanks! I just wanted to thank Gino and his wonderful staff. 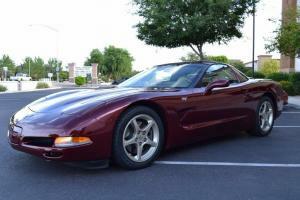 This corvette is in amazing with only 7300 miles. Everything works just as when it was built 2003. This car was delivered perfecty detailed . I had friend look at the car before I purchased it. There never was any pressure and the sale was done without a hitch. The tires were like new but 13 years old, so I called Gino and he recommended Nitto Invo which made the car 's ride like a newr!! I wouldn't hesitate to buy from Vette culture in the future. The car was as described and in really good condition. We are pleased with our purchase, so thanks again Gino and team!! 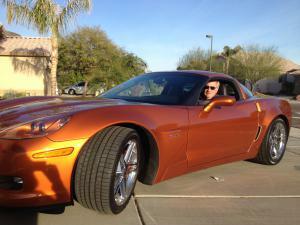 So folks..... Second Vette purchased from Gino and staff. My ride was picked up in TX and was shipped over within a week of our call. Too smooth. The team at Vette Culture are amazing to deal with. I just took delivery of my 2009 Z06 and I could not be happier. It is the exact car I have been working my way up to my whole life. From start to finish I was dealt with in a competent and professional manner. I recognize that I was a difficult customer, but they were always happy and eager to talk to me to make sure I was completely satisfied. I can tell you that they definitely achieved that goal. Everyone there is truly interested in providing great service without any of the high-pressure tactics that are so common at most dealerships. I guess it is because Gino and his staff are Corvette enthusiasts and not just a group of people trying to sell cars to make a buck. 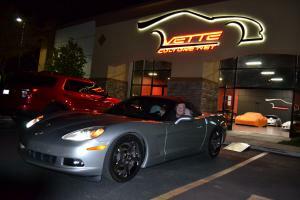 If you or anyone you know is in the market for a used Corvette, you owe it to yourself to give Vetteculture a call. I certainly will be directing anyone I know over there. Thanks to the entire team! Vette Culture. I purchased this car sight unseen and only by the detailed pictures and descriptions given to me. When the car was delivered to me in California I was absolutely impressed with the condition in and out and detailed as I would do it. The deal was made over the phone and delivered to me in a timely manner by Vette Culture and they also picked up my 2012 Camaro SS convertible on trade. This was by far the best car purchase I have ever made. The best part was that it was a stress free, pressure free buying experience. I would invite any type of buyer to go to Corvette Culture to get top notch service and a quality Corvette of any year in their inventory. 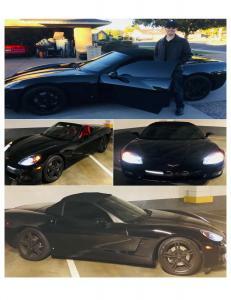 Over the years I've owned seven corvettes and many other sports cars. 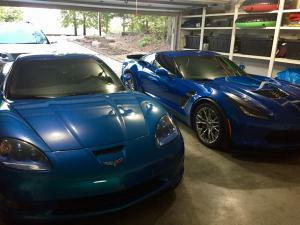 We purchased the last two corvettes from Vette Culture. 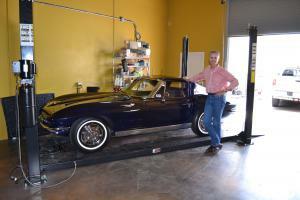 Not only do the folks at Vette Culture have excellent customer skills their inventory and showroom are the best. We have been more than pleased with Vette Culture and highly recommend them to anyone looking for a quality used corvette. After meeting the owner of Vette Culture, I wouldn't buy a Corvette from anyone else. 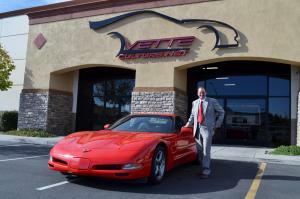 He is friendly, personable and very knowledgeable about vettes. 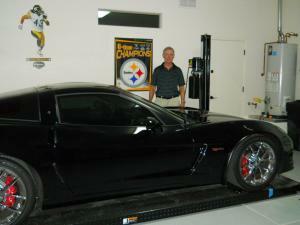 I stumbled onto his website while I was looking for vettes to buy through the internet. I had been searching online and checking out dealerships for months. I went to 3 or 4 dealerships looking for a used vette. I was not impressed with the quality or knowledge of the sales staff. Dealerships just wanted to sell me a car. I originally saw a 1998 convertible at Vette Culture so I called and made an appointment. When I walked into the showroom I was instantly impressed with the facility and superior quality of his cars. After meeting with them 2 or 3 times I narrowed down what year and color I wanted. It only took 7 weeks from my first visit to find the exact car I wanted. It was much nicer than I had hoped to find. Gino was very patient with all my questions and concerns about owning a vette throughout the process. Best buying experience EVER with no pressure at all. Gino is more interested in you loving the vette you purchase over just making a sale. Thanks so much for finding our perfect vette. We bought our 3rd. 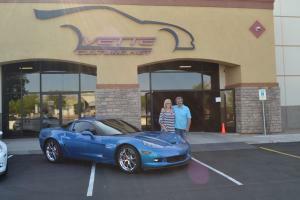 Vette, a 2009 Jetstream Blue Z06, from Vette Culture and from now on we will be buying any future Vettes from Vette Culture. It is very refreshing to deal with a company/crew that loves and understands Corvettes as well as they do. Also I have to mention Gino is a man of his word and backs his cars like no company that I have ever dealt with,,,,and I am old!! Take my word for it, if you are looking for a great buying experience for a Corvette or any other special car you should check out Vette Culture first. 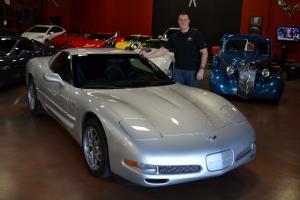 I purchased my low mileage 2000 C5 Corvette at Vette Culture. Since this was my first Corvette, I had many questions. The Vette Culture staff was very patient answering all of them. They even went through the entire car to familiarize me with it before I drove away. I'll be bringing my Corvette to Vette Culture for service in the Future. Check this place out, you won't be disappointed. My latest purchase from Vette Culture. I have been blessed to have made Gino's acquaintance and have had the pleasure of sitting down & letting him answer my multitude of questions regarding the ZO6. He was not only patient, but he also made me feel as though I was a close friend and we were having a great conversation. It's obvious to me that he has the same type blood flowing through his veins as I do - Racing Fuel! During the time we talked he made me feel as tho he had all the time in the world to answer my questions, and that I was very important to him. This is very hard to describe (or experience) for me because you see, Gino and I had just met - and "people who sell cars aren't like this", or so I thought. Gino, as well as Andy, are VERY special people, and speaking for myself I wish I could meet a whole bunch more JUST LIKE THEM! I not only have their friendship and camaraderie, but I also have one of the most BEAUTIFUL ZO6's on God's green earth!! (in my opinion, of course). 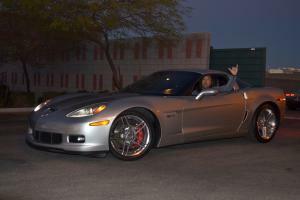 Gino gave me a fair price for my 2010 C6 and I traded it towards a "Wil Cooksey Edition" ZO6, which I am in LOVE with!!! The coloring of this particular "special edition" is what drew me to it, the fit and finish as well - but then we took it out for a spin and I KNEW I HAD FOUND MY LAST CORVETTE! Also, I had found a friend who would take care of whatever needs I, or my car, had in mind. THANK YOU, GINO, for showing me the best service, information, and the most beautifully detailed Corvette it has been my pleasure to own. ANYONE & EVERYONE who is in the least bit interested in a Corvette will be sent to ONLY VETTE CULTURE! You guys are the best Corvette dealer in the country! What a awesome purchasing experience. Looking into the car at 1pm (online) and was in my name by 5pm. Vette culture went above and beyond to "get it done". Clean, crisp show palace. Great staff, make you feel like your the only one there. All my questions were answered, totally upfront and educational info on the "Super Charged"
650hp, 550 to the ground beast I purchased. IT WOULD BE NUTS to purchase anywhere else before checking this crew out!! Traded in my C3 "Big Block" for a newer 427. So happy with how Vette Culture handled everything. 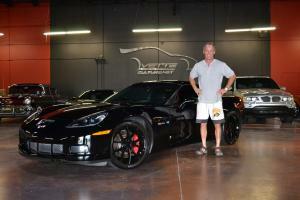 We bought our Z06 and added the black cosmetic package. The car turned out better than we could have imagined. 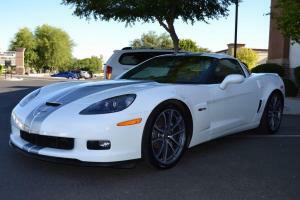 We highly recommend buying or customizing your Corvette at Vette Culture. I just purchased by first Corvette after looking for over a year. I will say that when I located Vette Culture, I made an appointment and what a great time it was. It was so discouraging after going from dealer to dealer looking at one car at a time and being discouraged when what you thought was a good car turn out to be not what was advertised. 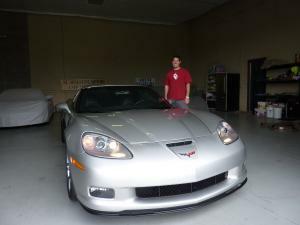 The time I spent with the Vette Culture staff was great fun and I had a number of C5’s to look at and drive. To have a great inventory of vettes to choose from was exactly what I wanted. I ended up getting a 2000 convertible and my wife and I are having the time of our life. I would encourage anyone that is seriously looking for a corvette to do yourself a favor and make yourself an appointment to visit Vette Culture. You will enjoy an awesome car buying experience. I will also be using them to service and upgrade our new purchase. 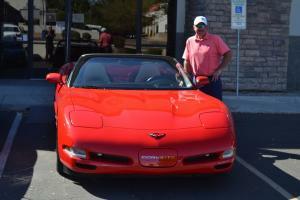 My first Corvette and the guys at Vette Culture made it a great experience. We cannot say enough good things about Vette Culture! 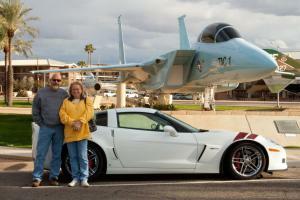 In Feb. of this year we purchased our latest Corvette from the. Their way of business is honest, reliable and no pressure. Their love of quality is certainly evident in the awesome inventory. 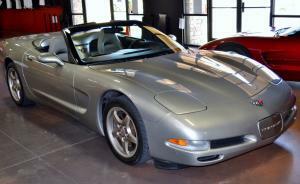 We just love our “new” Corvette inside and out. As a matter of fact, we felt so good about doing business with Vete Culture we decided to consign another of our collector cars with them to sell. Because of Vette Cultures'extensive knowledge and exposure to the auto communities we got a quick sale for a very good price with a very fair commission. We will be long-standing customers of Vette Culture. Thanks to the Vette Culture crew. My Corvette "Bucket List" has been fulfilled by Vette Culture. Buying a car never felt so good. 700HP Supercharged built right by Vette Culture. Bought my Top Flight Split Window from the Corvette Experts. Thanks for helping me with my first Corvette. I asked you all to find me this super rare car and you did. You all know this car market better than anyone in the country. I Purchased my 2004 Z06 "commemorative edition" corvette in August, 2013 from "Vette Culture"
I can not say enough about Vette Culture. They were very personable and extremely helpful throughout the entire process. Vette Culture shipped my car from Arizona to Indiana in a very professional way, their transport company was also very professional. Since purchasing my Z06, two months ago I have entered it in four local car shows, and I have won trophies in "Best of Class" in all four and I also won award for "Best in Paint. I tell everyone where and how I purchased my Vette, and I stress to all that if they choose to buy a vehicle online to make sure they trust the dealer. To me that meant everything. Thank You Vette Culture, you made me a very happy "girl". My Corvette only goes to you guys for service no one else can touch my baby. The buying experience was great and when it was time to sell it they took care of me coming and going. 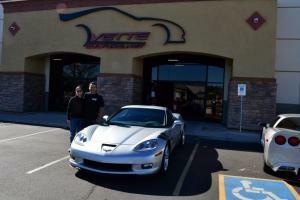 Bought my car from Vette Culture and utilize them for all my service needs. No one knows Corvettes like these guys. Upgraded into a Z06. Vette Culture is the place to buy a Z06 Corvette. I love my Z.
Vette Culture found my car for me, and brought it to Arizona. I love it! You guys aren't a car dealership you are Corvette Adoption Center. 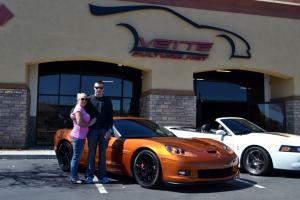 Vette Culture is a true enthusiast business, they love what they do and it shows. 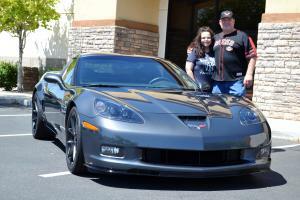 We love our Z06 we bought at Vette Culture. Thank you for the car and the great service. All my question where answered, totally upfront and educational info on the "Super Charged"
IT BE NUTS to purchase elsewhere before checking out Vette Culture!! 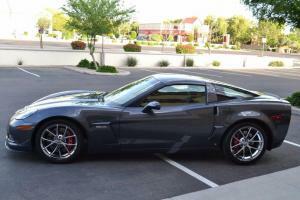 If you are in the market for a Z06, then you need to vist Vette Culture before you decide on a car. Early on in the car buying process, I was pretty convinced I wanted a late model GT500 Mustang, during my vist I test drove a few different low mileage Z06's. I was offered more than a fair amount on my trade, I couldn't pass on a opportunity to own one of these bad boys myself. The financing was extremely competitive and few goodies where added in on the deal as well. 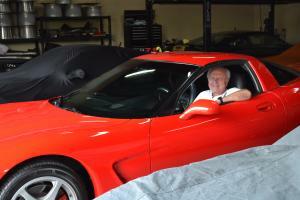 Not to mention his inventory of Z06's is probably the most pristine of any in the country. 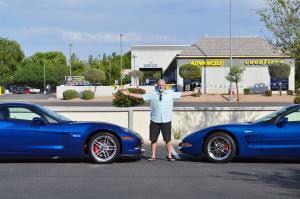 I looked at a few used Z06's at local dealers and none of them compared in condition to the cars in his showroom. I get so many head turns and compliments on my Z06, I feel like a celebrity. Needless to say, YOU WILL NOT BE DISAPPOINTED. Thanks,Vette Culture! I had an unfortunate incident getting tapped in a parking lot. I took it back to VetteCulture and had another very satisfying visit. The rear bumper needed to be repainted and the attention to detail was great. I was concerned with paint matching and found out it took a couple of tries but it came out perfect. Close isn't good enough for Vette Culture. The car was returned to me good as new and at the quoted repair price. On top of it, I noticed the car had been detailed inside and out. Don't know that I've ever seen that at any other dealership I've worked with. 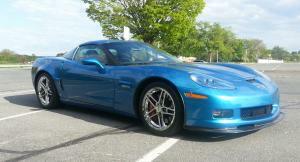 In October of 2011 I decided to purchase a late model Corvette to celebrate my retirement. After spending countless hours searching local dealerships and online car sites thankfully I found Vette Culture. I found my dream car waiting for me on the website. I called and made an appointment. 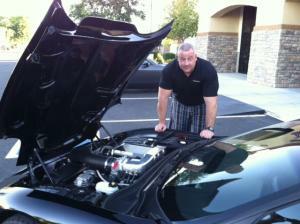 The stall was personable and knowledgeable and the selection of Corvettes was amazing. 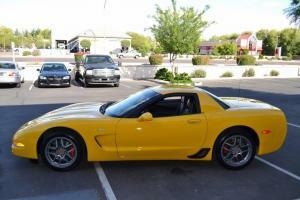 Since purchasing my Corvette I have relied on the service department at Vette Culture to keep my car running great. What a great experience. I love my Z06! The car is still a flawless beast, much like the day it left your showroom a year ago. 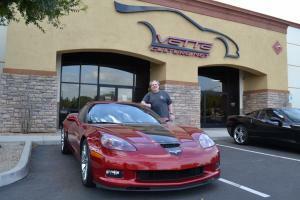 You did a great job in getting me into the car as well as dealing with my 2001 C5 vette. It was the easiest car purchase I have ever made. Vette Culture Rocks!!! Vette Culture built my ZR1 killer. Vette Culture to me is an honest straight forward car buying experience. I had been looking for a Z06 for about two years. 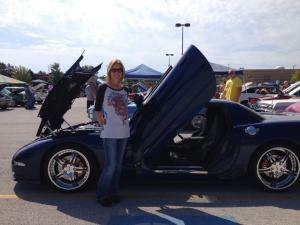 I was in and out of Vette Cultures website and many others daily. The thing that stood out to me was the cars were spotless. You can tell the cars have been gone through bumper to bumper meticulously. When you see the warehouse and the shop, they are spotless as well. That was the game changer for me. You can tell that things are taken care of in this establishment. I have always dreaded going to car dealerships because the salesman are, well I think we all know how they are. This is not the case at Vette Culture, they are honest and straight forward. They look you in the eye and explain everything through the buying process open and honestly. This was by far the best car buying experience I have encountered. If you like doing business with honest hard working people, this is the place! 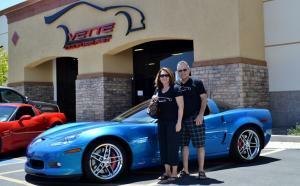 I look forward to doing business with Vette Culture in the future and recommend them to anyone who wants to be treated right when buying a car. Thanks again to everyone at Vette Culture. What an awesome car and what a great experience it was buying from Vette culture. It was easy and a pleasure doing business with the Vette culture crew. We were treated like customers should be treated and we will be back for service and other purchases. Thanks to the Vette Culture team! 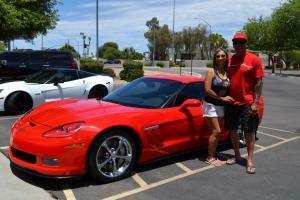 As a customer of Vette Culture I must say all of my experiences with the company have been very positive! Their vehicles are all first class and for previously owned, they never go out on the sales floor until they are thoroughly inspected and are both mechanically and ascetically flawless. Their customer service is also outstanding! I had a firsthand experience with them when I purchased a Hurst short shifter and had them install it. It was a test to see what quality would come out of their shop. Usually I do my own work, that way I am sure it is installed properly. They did a professional job and it was done so quickly I couldn't believe it. Unfortunately, the shifter made a noise that seems to be common in these units, so I contacted Vette Culture. They said they would replace it with an MGW shifter or reinstall the old OEM unit. I decided to have the MGW installed. When they finished the install I asked what I owed for the exchange and the response was “no Charge.” That is what I call customer service! 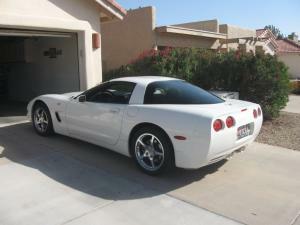 The other work they have performed on my Z06 is building and installing Custom E brake Boot and Shifter Boot. The leather work is outstanding! 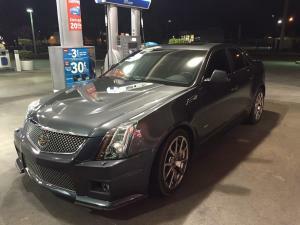 I have seen some of the other vehicles they have customized for their customers, i.e., installing superchargers, complete leather interiors, special custom wheels, etc. I just picked my vette up from Vette Culture and once again they have exceeded my expectations! It was in for a detail. The Corvette is Black, and if you know how difficult it is to clean or keep a black car clean then you can imagine the work that goes into detailing this car! I can't begin to explain how great this car looks. The outside, inside and engine compartment looks better than it did when it was new. The cost was also very reasonable for the amount of work that went into detailing this car! These guys also have some of the best looking pre-owned Corvettes I have ever seen. 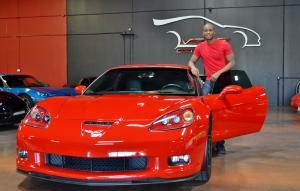 Thanks to the team at Vette Culture !!! I also highly recommend Vette Culture in Mesa, AZ. Honest, friendly, capable. Bought my Z from them about a month ago and they treated me great, added a bunch of extras for free, and took my 112,000 mile C5Z at a fair price.You'll get personal attention from them and leave with a smile. P.S. Whoever did your logo ROCKS!!! 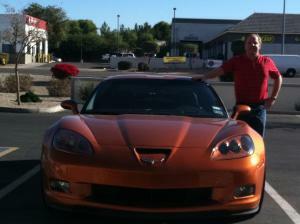 I bought my first Corvette - a 2007 Atomic Orange Z06 - in July 2012 from Vette Culture after looking for nine months. They were willing to spend the time with me on the phone and when I got there. 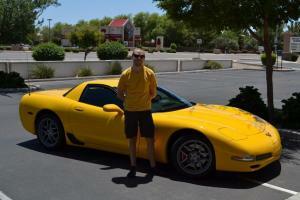 They answered all of my questions and gave me specific insight to owning a Corvette and what I could look forward to. 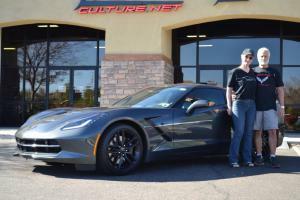 Vette Culture provides an honest approach to business which was hard to find with other dealers and individuals I had talked to over my nine month search. They also have a great new showroom with almost 20 Corvettes so you can check out all the color options side by side and get ideas for upgrades that I can do on my new Corvette. I have participated on two race weekends and the Vette Culture mechanic checked out my car before and after the race for my piece of mind - My Z06 ran great! 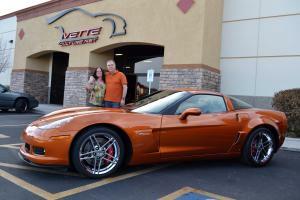 I highly recommend Vette Culture for purchasing, service and now their expanded merchandise selection. Great Customer care will keep me coming back to Vette Culture for years of ownership with my Corvette. It was a pleasure doing business at Vette Culture. Great customer service. Thanks to the entire Vette Culture team!